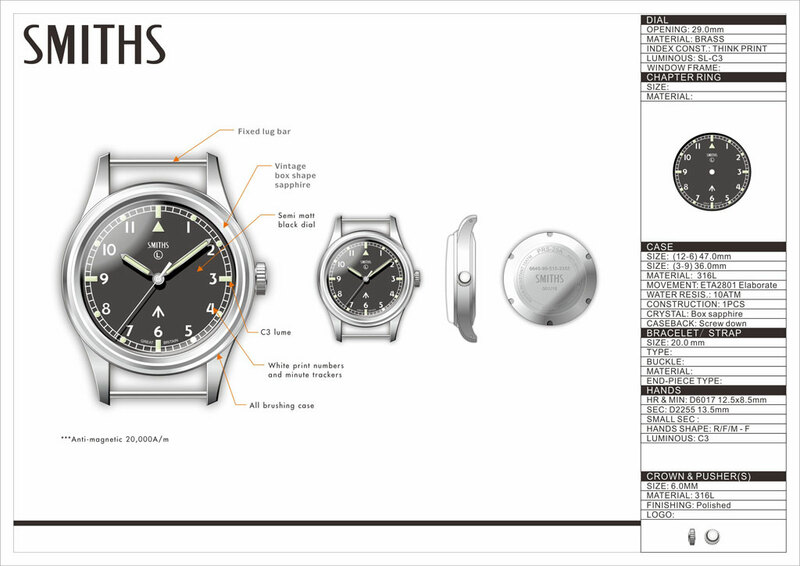 Hahaha, I don’t understand why it winds people up to the extent it does - especially on a *recreation* of a vintage watch. Doesn’t that W10 look beautiful, with the ecru against the black dial? I understand people’s philosophical objection to it on a new, original design watch... but I think it’s a perfectly sensible option here. My current, much loved 29a has coloured lume after all... it’s a light green instead of white. Why doesn’t that inspire the same reaction? It’s not like I’m suggesting a ‘pre-aged’ case like a recent Zenith - that is a step too far. 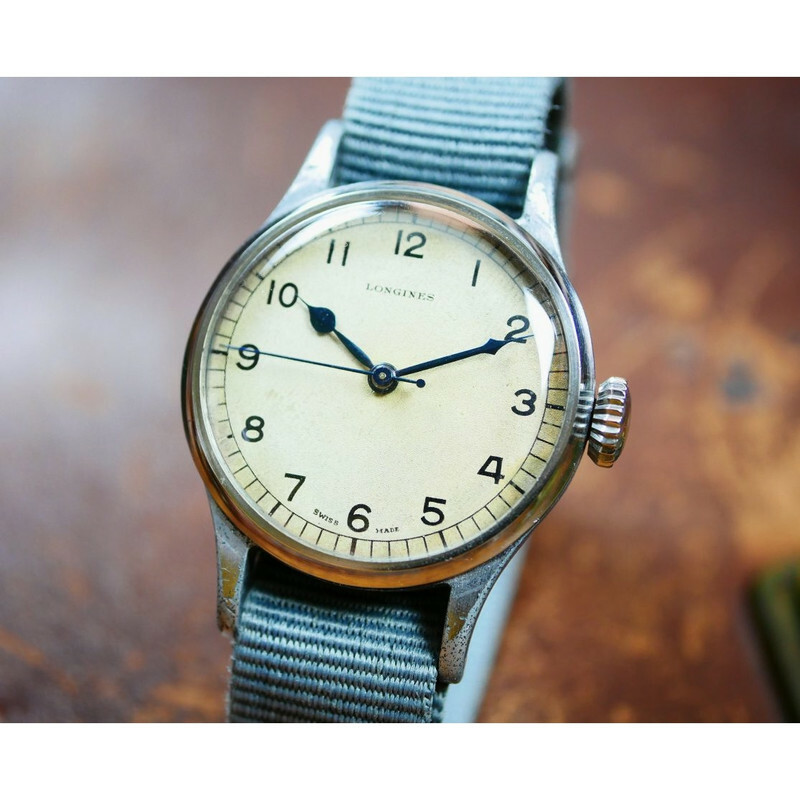 EDIT: People (including me) love the look of vintage watches, much preferring them to the vulgarity or flashiness of many modern pieces - but don’t want to contend with a) raised prices (a W10 in good nick is now c.£1500), b) potential fragility (cracking tritium for example), c) the vast number of put-together watches/fakes (maybe not for W10s, but certainly for others), d) want the ease and pleasure of buying a brand new, warrantied watch. As luminova doesn’t age, you can’t wait 20 years for tritium patina to develop (as if that is a sensible proposition even for the young) AND by the tritium does colour, it won’t function as lume - an enjoyable and useful part of a tool watch. Last edited by Dark Side of The Loon; 23rd May 2018 at 11:13. Starting to look promising to become more than a project only! Are these custom hands or stock? I think they could do with being a little thinner or graduating in size? I understand taking it away from the pure original design and adding lume as you need to sell watches and that seems to be the demand of the crowd!! My initial thought would be thinner hour and minute hands. I'm not averse to luminous compound on the dial, but having the numeral at six raised up does upset the dial somewhat (imho). Last edited by Der Amf; 25th May 2018 at 11:42. I've never had a first render which looks like it should. Even though I send pictures and a description, there's always an element of artistic license. It usually takes 2 - 3 attempts for them to do what I ask for. Last edited by Cornholio; 25th May 2018 at 11:49. I have had a quick go of changing the hands, making them a little thinner. I have tapered the minute hand and made the hour hand less bulbous. I also lowered the 6 a tiny touch. The more I look at it, the more I like the raised 6! I agree that the hands need to be a fair bit thinner but I’m not bothered about the lume although a full lumed dial would be nice. Since the hands are not lumed, I think it would look better if the dial was also not lumed. I agree. I dont see the point in only luming the dial (unless its fully lumed, but thats something else entirely). I quite agree. I don’t follow the logic. No lume required on this one, Eddie. What about a lumed dial? To me lumed dials always look garish. I'd rather have a creamy dial and turn on a torch to see the time. There might be enough contrast between the dark hands and the light dial to read the time in all but the darkest rooms anyway. Yes, I agree with MurrayMint, a fully luminous dial won't suit this watch at all imho. An egg shell/off white dial with heat blued hands will be perfect. Playing with some more dial options, if you were not to have lume and just printed. I like the outlined version with the dial showing through. Vintage lume looks nice with the strong dark outer lines. 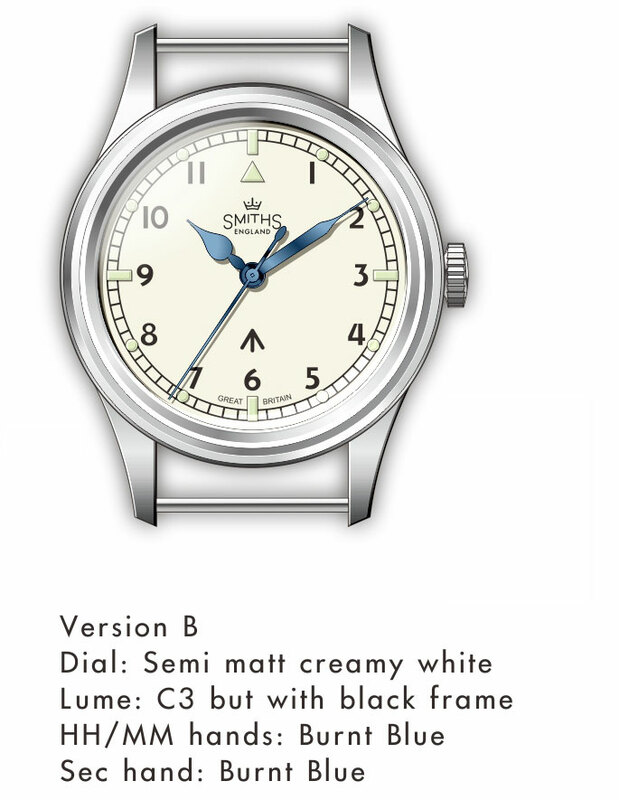 With the latest rendering/mock up pics does this mean that a black dialled smiths military 29a with sapphire and 20mm lugs is not on the cards or are there two watches in the pipeline ? I thought it was about continuing the 29a in a modern form ? Dare I ask will this one probably not happen? 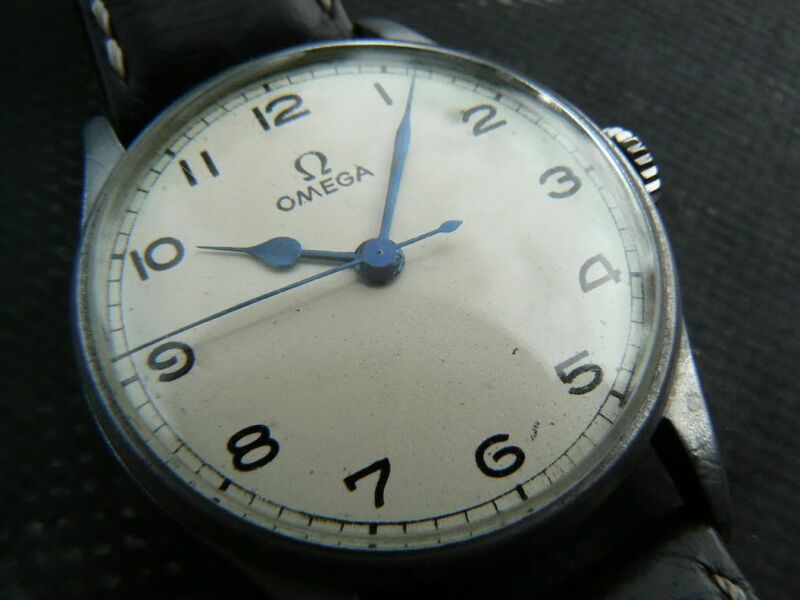 Or is the blued hands/ pearly dial the focus ? Last edited by bond; 25th May 2018 at 17:31. The lume will disappear from the white dial version, so the 6 can resume its rightful place. So is a PRS29a type watch dead in the water now, or still possible? I'd still settle for another run if the 29a! Given what Eddie’s written below, I’m hoping it means both dials could be used. Best of both worlds! And a 12, please rather than the arrow? I agree, 12 would balance better I think. I've lost count of the number of different watches mooted in this thread. "Change this, change that, change summat else" etc etc, ad nauseum. The original 29A was what it was/is what it is, it was made for a reason. Just make it again FFS. The design doesn't need changes. If you want a different watch then buy a different watch. IMHO. I regret that I didn't buy one when I had the opportunity, but from what I've seen it doesn't need changing. Only the sapphire crystal wiil do. I think where we are at is: Eddie is remaking the 29a as per his design which is an update on the original. We then suggested a 29c white version that has got traction and we are kicking that design about... for Eddie to tell us what he actually does plan to do (or not!) in the future!! It’s all good fun! I'm sure Eddie knows how much the 29a is loved. 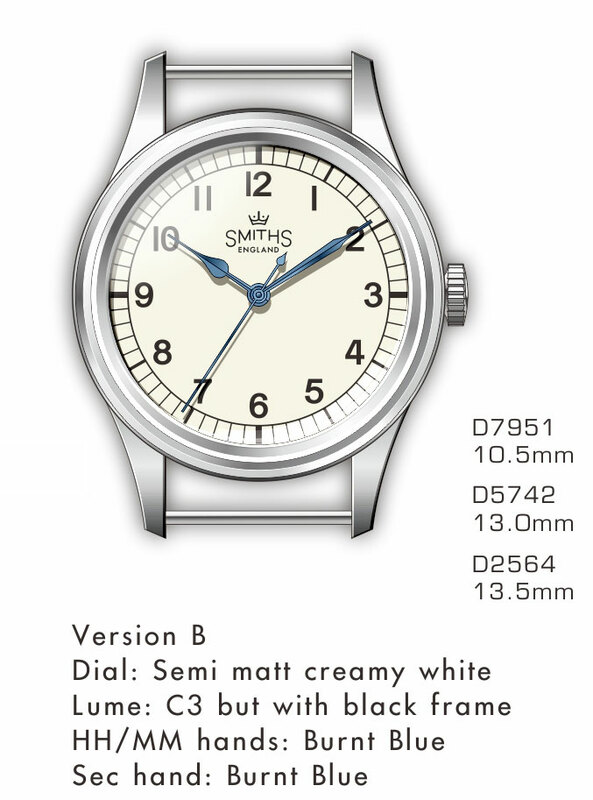 Problem is if he produces a revised 29a and another Smiths model then I might end up having to have both. Dammit. Other than the updated W10, I'm a bit confused. Are we possibly getting a white dialled W10 or a new 6B/159 or a new ATP or what? That was/is my take on the thread fwiw. Totally agree , I said something similar earlier on in the thread . It just detracts from something pure of what it was meant to be - a smiths military. Of course a few upgraded materials and dimensions is neither here nor there but it does seem to be going way off on tangent imo . If people want it though what else is there to be said . True spec or near enough true spec for me all the way!!! Last edited by bond; 27th May 2018 at 09:42. Looks good Eddie.think both "new" versions will do well. That looks like my dreams made flesh. I especially like the broad-gauge train tracks. Last edited by Der Amf; 27th May 2018 at 13:08. I can sense this lovely creamed dial version or regular version will be akin to people choosing between a black sarb033 or 035 . Both extremely legible and appealing . That latest creamy white dialled version is superb. Want... (but agree about the numerals needing a bit more refinement - something like those on the '53 Thin Arrow would be good). I can't find a font with the same style 7. Fair do's. I appreciate the problems. Still a great job, though! Now that looks very pretty! I’ll have a look through the font database at work next week, sure we can track something down... might be worth getting Chris P on the case as well. It’s looking great though, Eddie! That looks lovely, but is there any way to get silk (between gloss and Matt) blue luminous paint on the hands that gives a similar effect to the blued steel hands of the original. That, or the same sort of hands and lume as on the Lemania HS9 chronograph?